Do you enjoy taking pictures? Or do you enjoy posing for pictures? Back in the days, pictures were the result of images carved on to rocks, walls, or even wood. These were achieved with the use of a chisel and hammer-like tool, which people back then used for various purposes, mostly for survival. 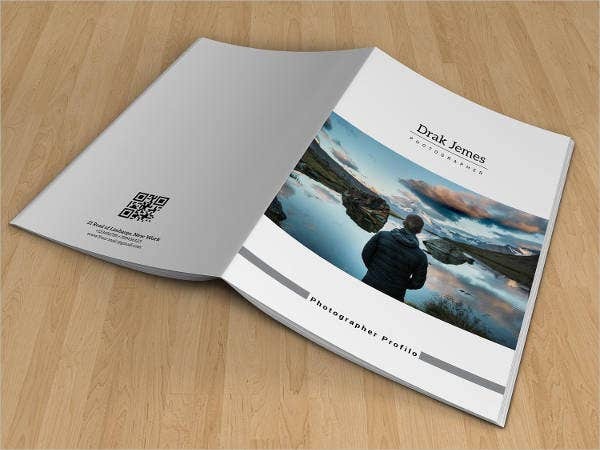 If you are indeed into taking pictures and are actually running a business with it, then we can help you promote your business with our brochures. 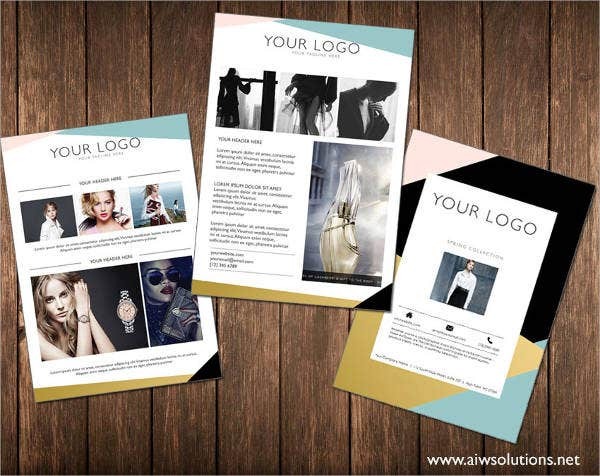 We have an entire collection of brochure templates here on our website that you can use for promotional purposes. 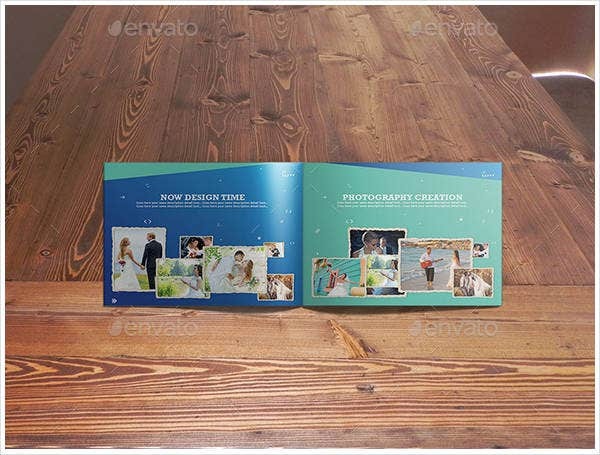 Feel free to look around our website, we have many templates for you to choose from. Then came the introduction of the ink and paper by the ancient Egyptians and Chinese in 2500 BC. During the time, pictures were taken in the same manner that we do our drawings nowadays. It was only until the early 1800s that the first camera was introduced, and it marked the birth of photography, with the oldest known pictures taken between 1826 and 1827. Photography is pretty tricky, but once you get the hang of it, you can capture images worth a thousand words. 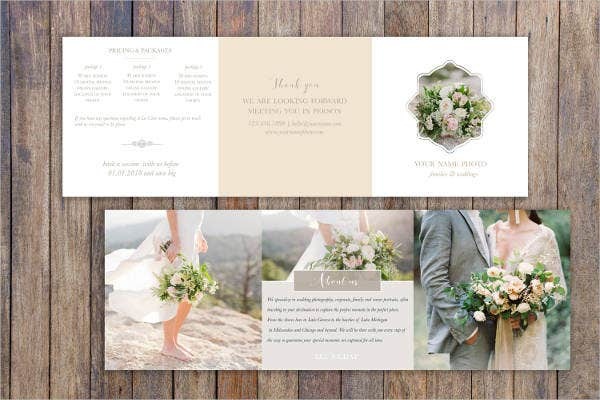 Here are few dos and don’ts to remember when taking your images. DO learn to shoot in manual mode. This way, you can both have more control over your camera and also improve your skills in photography. DO invest in high quality equipment to be able to achieve high quality pictures. Also, DO enroll in lessons and seminars to learn skills and knowledge from experts that you won’t be able to do so by yourself. 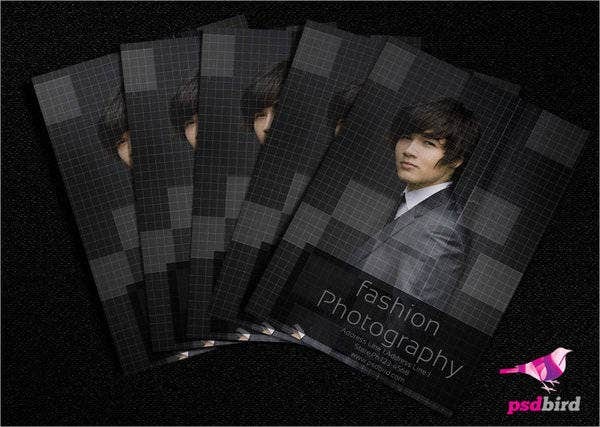 DO learn basic photo editing. 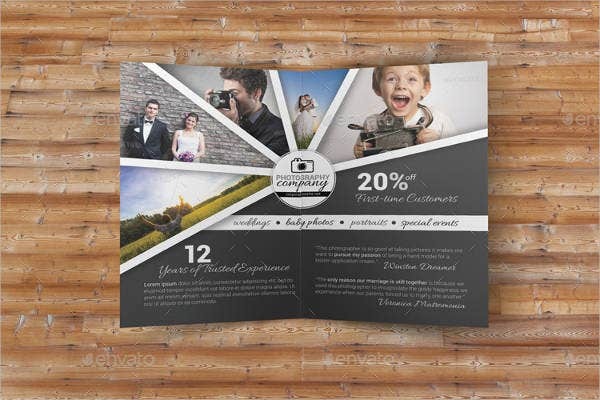 But by photo editing, it only means postprocessing or minor enhancements to your photos. DO learn to use the flash. Using the built in flash is enough, but having other external flash sources are even better. It is much easier to darken an over exposed picture than lightening an underexposed picture. DO clean your own equipment regularly. If you want your camera and its accessories to continue providing you with high quality pictures, then take good care of it. DO practice. You sure won’t be able to get the best quality the first time, so always be motivated and practice. DON’T compare your work with others. Different people have different tastes in photographs. As long as you did your best, always be positive with your own work. DON’T brag about knowing everything about photography—nobody likes a know-it-all. DON’T be scared to do post processing enhancements on your pictures. As long as you keep a different file for the raw image, then you’re safe. Also, regarding post processing, DON’T overdo it. You are only after enhancements while still trying to retain much of the original image. 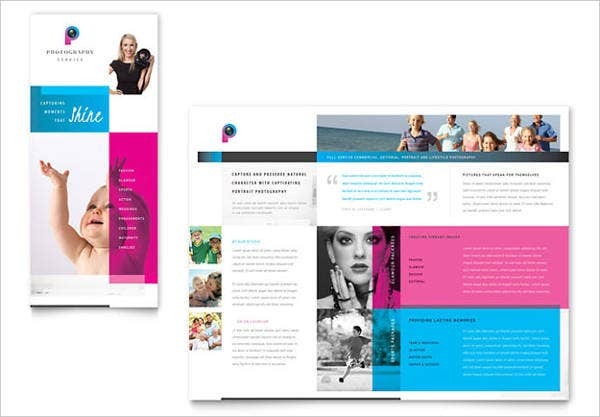 Looking for templates to promote your business? 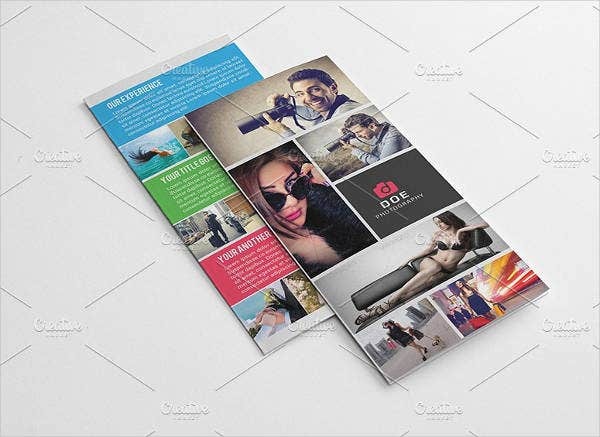 Take a look at our collection of business brochures. 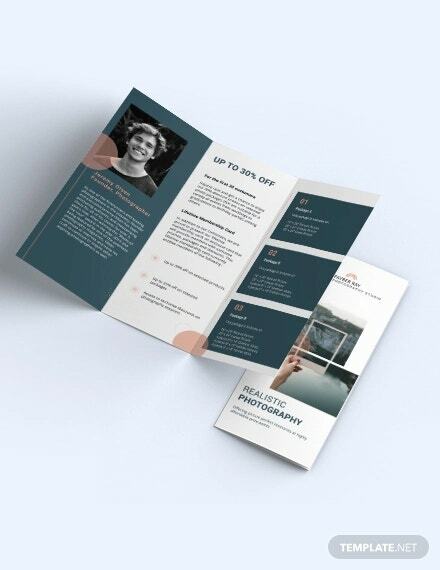 Our brochure templates have been designed by creative and experienced graphic artists who aim to provide their clients with the best-looking brochures designs. 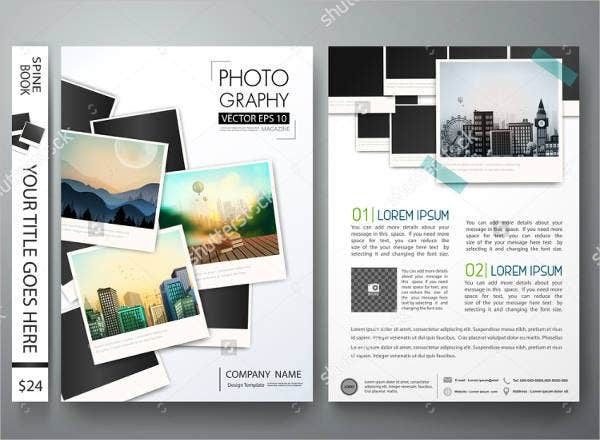 These templates can be downloaded easily by anyone who has good Internet connection. You may be able to download these for a very reasonable price and you have the option to save it in either PNG, PSD, or EPS depending on which format suits you best. 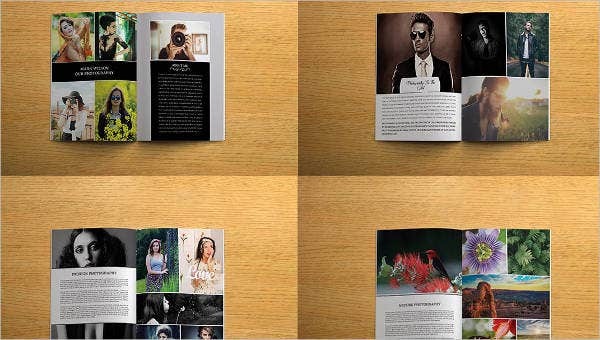 If you want to see even more brochure templates about photography, check out our other collection of photography brochures. But if you still couldn’t find what you were looking for on this page, then check the links on the bottom of this page for other related content.